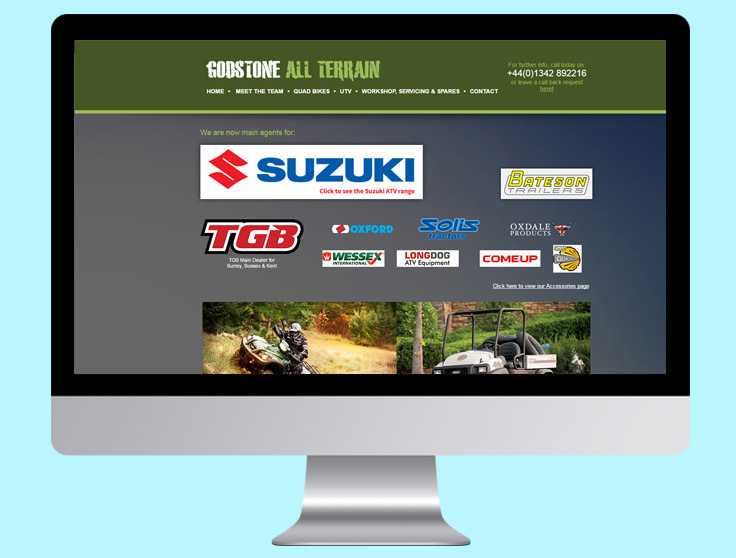 Godstone All Terrain is the UK’s main dealer of TGB quadbikes — a world-leading brand. After struggling to attract the right customers through traditional marketing techniques, they wanted to try a fresh approach. We got straight to work analysing the website, researching keywords and identifying crucial opportunities to achieve the objectives. 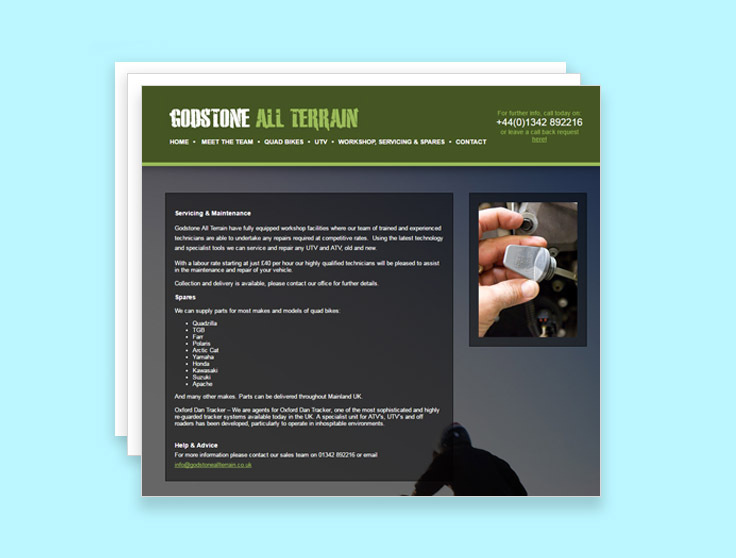 Since Godstone All Terrain wanted to promote the servicing and repairs side of the business, we made sure we targeted relevant search terms. We knew that to get the results the client wanted, we would have to make their website feature prominently for servicing and repair searches. After just a few months, we had achieved a dramatic improvement in website rankings and servicing enquiries took off. The increased traffic that they wanted to see was converting into customers. Our optimisation campaign also increased visibility for the TGB brand quads. Thanks to our work, Godstone found that people were able to find their website and get in touch simply by looking for TGB quads in search engines.